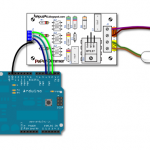 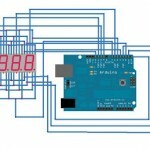 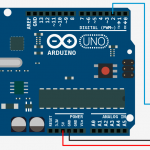 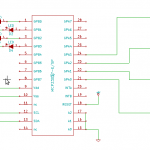 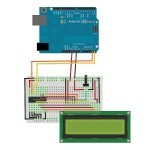 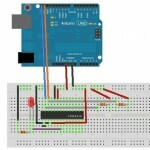 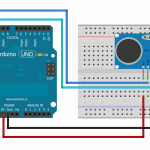 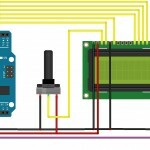 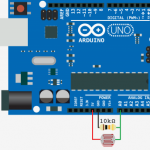 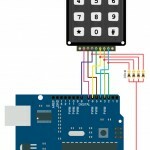 Required Hardware Led Matrix 8×8 Bi-Color Arduino Board Breadboard Jumper Cables With this tutorial you learn how to connect and display the word “Hello” to Led Matrix 8×8. 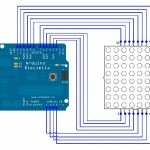 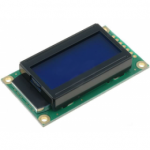 Below is the wiring that you need only for the red color. 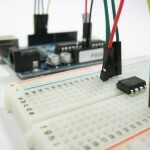 Required Hardware Arduino Board LDR Resistor 10K Breadboard Jumper Cables The LDR / Photo-resistor is basically a very simple light sensor that changes its resistance with light, lowering with more light.